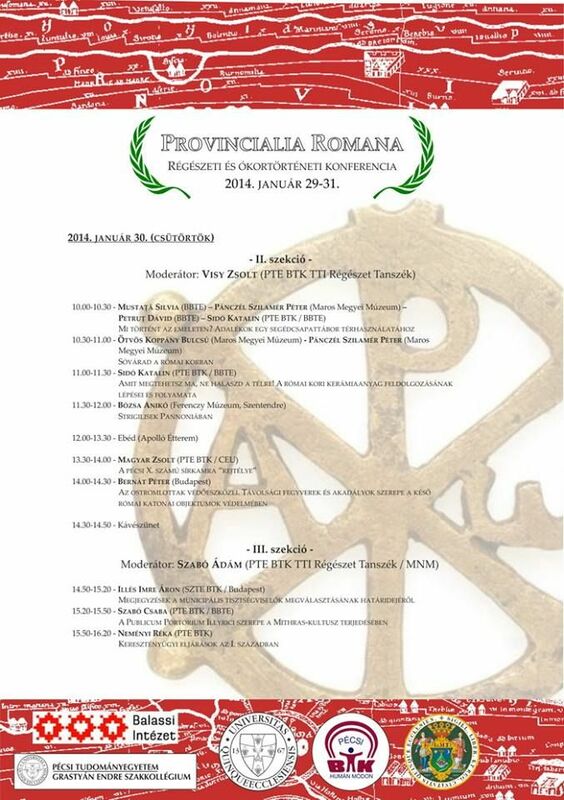 Between the 29th and 31st of January 2014, an international conference organized by the University of Pécs (Hungary), entitled Provincialia Romana. A római tartományok történeti forrásai – hadsereg, vallás, társadalom (ProvincaliaRomana. The historical sources of the Roman provinces – army, religion, society), took place in Pécs, Hungary. As the title suggests, the conference focused on general and particular problems related to the army, religion, and material culture in the Roman era. 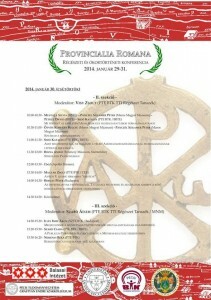 Five members of the Roman Limes Research Centre attended the conference with three presentations on various subjects: the general methodology applicable for Roman pottery coming from Roman military forts, general problems related to the use of space in forts, and old and recent data concerning the Roman site of Sărățeni from Mureș County.